JRR Tolkien Limited Edition Roverandom only 25 copies. Thornton’s specially rebound edition of “Roverandom”. JRR Tolkien Limited Edition Roverandom only 25 copies. Thornton’s specially rebound edition of “Roverandom”. Limited Edition of only 25 copies, Thornton’s specially rebound edition of “Roverandom”. 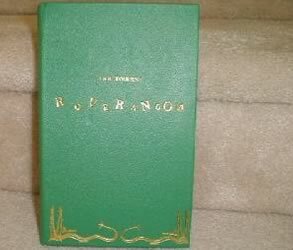 First edition, first original print copy is rebound in genuine green leather with gilt titles and design, limited to only 25 copies. 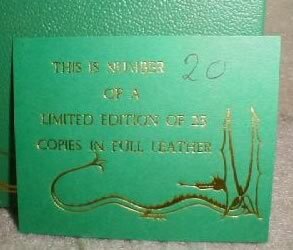 This is copy number 20 in mint perfect condition. Original dustjacket is bound in at the back of the book by Thornton’s, as with the other 24 copies as well.